As summer draws to a close, I realize that I haven't had time lately to post discussions about cartoons or a particular project in detail. I thought I would post a few things that were on the drawing board this past week. 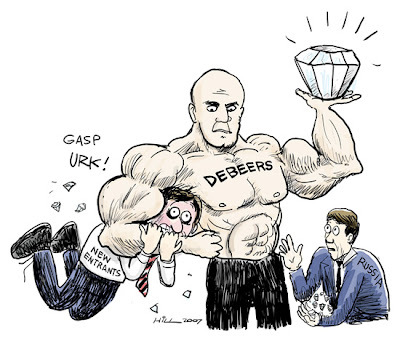 A cartoon for a business magazine, to accompany an article written about the large and powerful diamond cartel, Debeers, (and their stranglehold on the diamond industry.) Sort of like an editorial cartoon, only with color. 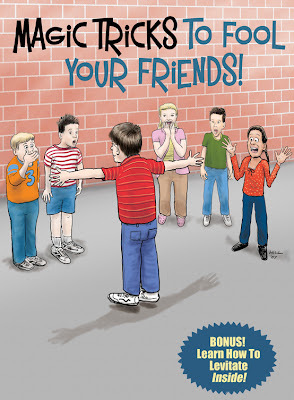 I worked with a magician based in Florida over the past couple weeks, illustrating a book he's creating for kids. He's a guy who travels a lot, putting on shows and performances...so it was interesting at times, sending sketches and artwork back and forth. But it was a lot of fun to work on the interior illustrations, most of which dealt with the actual magic and tricks. (Something completely new to me.) (I learned some tricks I can try and perform for my daughter!) This is the cover illustration. 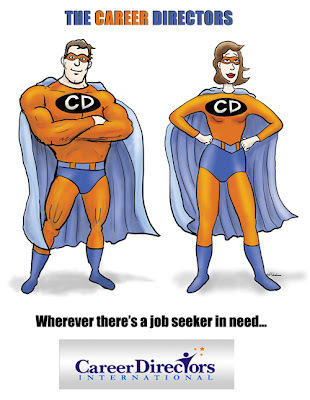 Corporate mascots for a company that advises people with their careers, looking for employment, etc. This was the image created for their main website and promotional materials. I actually learned how to levitate from reading that book. Looks like you're a cartoonist, too. I'd love to see some of your stuff sometime.